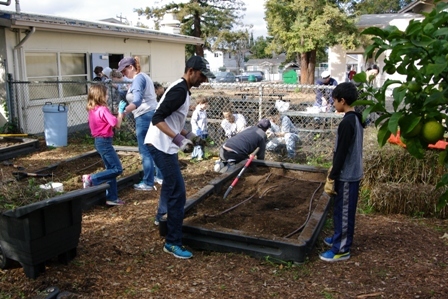 After months of planning, the Peninsula Multifaith Coalition dispatched over 500 volunteers to a dozen sites across San Mateo County for a Multifaith Day of Service in honor of Martin Luther King Jr. Day of Service. This annual event for the Coalition attracts volunteers of all ages and faiths to come together and work side by side for the betterment of our community. 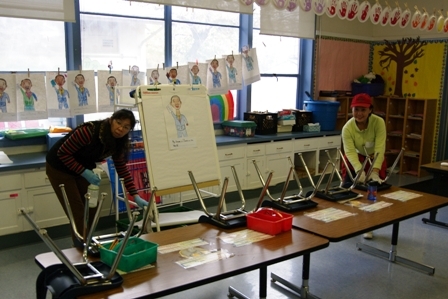 Projects ranged from painting and installing shelving at John Gill Elementary School in Redwood City to preparing and serving breakfast for day laborers at the San Mateo Workers Resource Center. 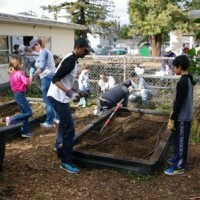 One of the largest volunteer sites was Fair Oaks Community School that hosted multiple projects from classroom beautification, gardening, and backpack hook installation to the literacy projects in partnership with the Jewish Coalition for Literacy. This article was contributed by Kyoko Yamamoto, Shinnyo-en member, and one of the project leaders at Fair Oaks. This year’s MLK Jr. Day of Service was an unforgettable, incredible experience for me. Last year, I participated as one of the volunteers. 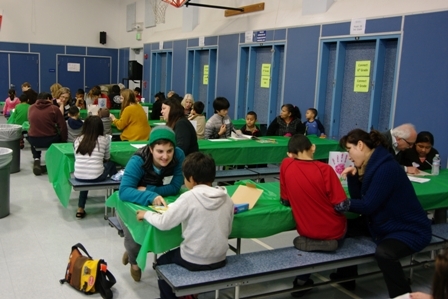 This year, I was given an opportunity to be involved in the planning team as a project leader of the literacy projects at Fair Oaks Community School in Redwood City. 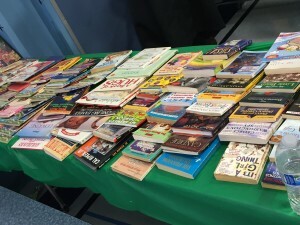 The literacy projects were derived from hopes to extend the already planned book drive to something that would bring the community together. 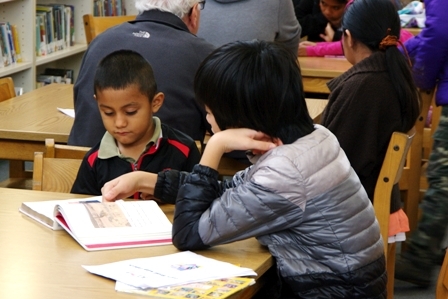 In particular, the “Reading Buddy” project was born from our desire for children of Fair Oaks to have an exciting, inspiring, and valuable experience. 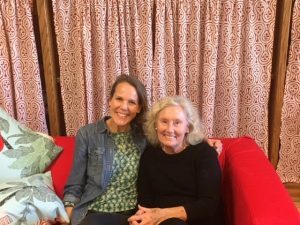 The projects at Fair Oaks were a result of collaborations between passionate leaders and the volunteers from the Peninsula Multifaith Coalition. On the morning of this year’s MLK Jr. Day of Service, I found myself nervous yet excited to carry out the team’s mission. I sat with my co-project leader, Katie, at the check-in desk looking forward to meeting the volunteers face-to-face. I became excited as each volunteer checked in, and at the same time, I was anxious about how many volunteers would actually come. 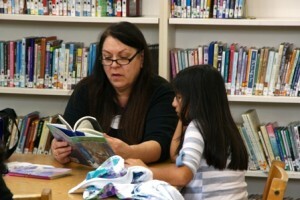 While each and every volunteer was unique, we were united as one having a desire to be a reading buddy for Fair Oaks students. After having breakfast together, our volunteers received a helpful training from Ms. Joan Green from the Jewish Coalition for Literacy, checked out each classroom where we had literacy games and reading time planned, and waited patiently for the students to arrive in the cafeteria. As students and their families arrived one at the time, Katie and I paired up each student with a reading buddy volunteer. Although the first language of many of the students was not English, we paired buddies hoping for them to connect beyond language and to inspire each other during their short time together. I looked around the cafeteria as we paired up last buddies. I became overwhelmed with emotion from the scene. It was filled with pairs and trios of reading buddies leaning toward each other, communicating with their buddies through books. Soon after, we led a literacy game of making and playing with irregular verb cards and Vocabulary Bingo. I felt warmth witnessing our volunteers supporting their buddies utilizing various ideas, and the students trying their very best to find each vocabulary word. 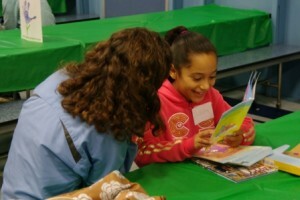 Meanwhile, parents of the students were invited to attend a workshop called “Let’s Read at Home” led by Ms. Joan Green. Since a majority of Fair Oaks’ families speaks Spanish at home, sharing literacy resources and information on how to create fun, heart-to-heart reading environments for children was not only pivotal but also encouraging. The time passed so quickly and the project ended successfully. Everyone enjoyed a potluck lunch brought by Fair Oaks families. After lunch, I witnessed many children gathering around the donation book tables and eagerly reading. 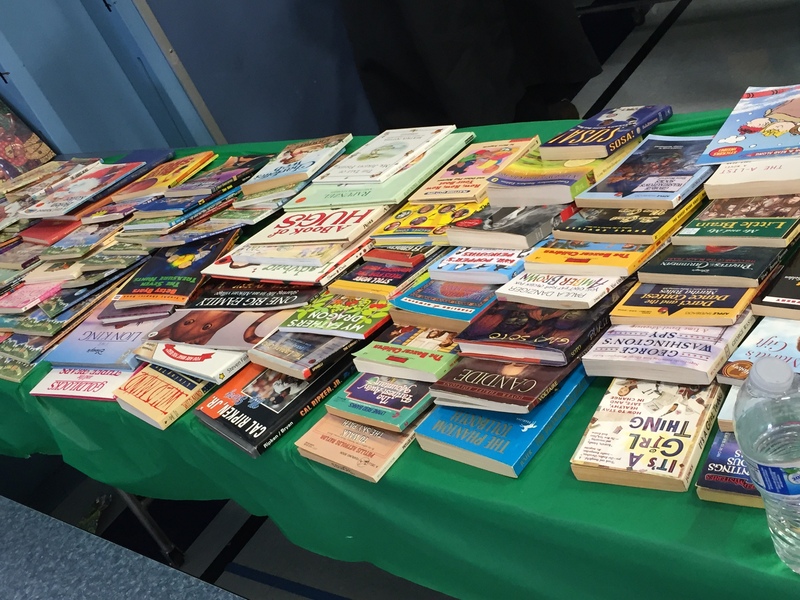 Over 2,000 books collected by the participating congregations of the Coalition were donated to Fair Oaks. Our volunteers kindly shared their reflections with me. Although I expected volunteers to simply leave gratified for this one-time opportunity, their feedback was incredibly rich and filled of ideas to continue and build on this project in the future. Each piece of feedback, one-by-one, filled me with warmth. I am grateful for this opportunity because it encouraged me to be a better community leader. Thank you, Kyoko, for sharing this beautiful article, and thank you to all the volunteers who participated! 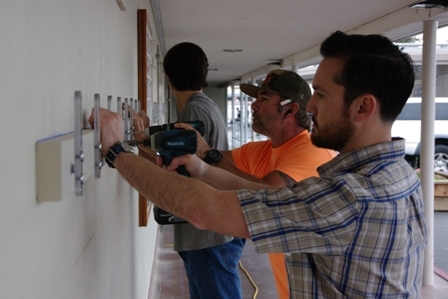 Here are a few more pictures from the projects at Fair Oaks Community School.